OWoN: China is now in a full Global frontal assault on Capital markets. China is in a Business War attacking markets for money. The US is killing its own economy wasting critical money supporting the Oil Barons. The economy is tanking and China is mopping up. Canada expects to finalize the creation of a domestic yuan clearing hub in the country, a source familiar with talks said on Tuesday, with an announcement expected during Prime Stephen Harper's trip to China in the coming week. The two sides "expect to be able to finalize and announce the currency hub," said the source, speaking on condition of anonymity because the matter is not yet public. 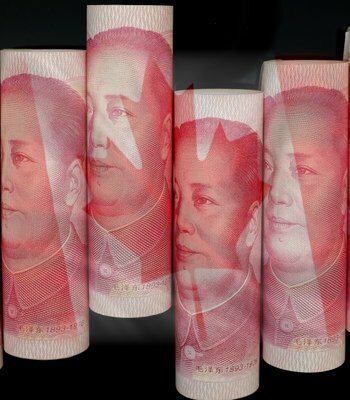 Canada expects to finalize the creation of a yuan clearing hub in the country, sources familiar with the government's talks with Chinese officials said on Tuesday, with an announcement expected during Prime Minister Stephen Harper's trip to China later this week. The two sides "expect to be able to finalize and announce the currency hub," said one source, speaking on condition of anonymity because the matter is not yet public. The move falls in line with Beijing's ambition to promote its currency to more international investors and eventually turn the "redback" into a global reserve currency, while at the same time expanding China's already considerable political and economic clout. Earlier on Tuesday, Qatar became the Middle East's first hub for clearing transactions in yuan in a step that could help oil exporting countries in the Middle East reduce their dependence on the U.S. dollar. The Industrial and Commercial Bank of China's Doha branch has been appointed as the clearing bank for yuan deals in Qatar, China's central bank said on Tuesday. The Canadian Chamber of Commerce has publicly endorsed the establishment of a yuan hub in Canada as a crucial step toward strengthening the country's relationship with China and boosting trade. "This is the best and most effective way to boost trade with China," said Hendrik Brakel, a senior Chamber of Commerce economist. "Right now almost all of Canada's trade with China is dollar-denominated. So just the foreign exchange savings from being able to convert directly into yuan, without going through the intermediation of U.S. dollars, that is a big savings in terms of conversion costs alone. 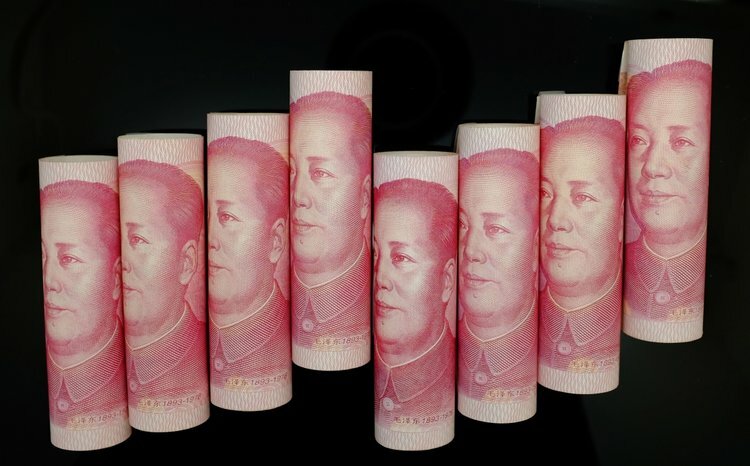 "We've also heard that Chinese companies really prefer doing business in yuan...so if the Canadian importers agree to pay in yuan, we've heard there are discounts of up to 5 percent," he said. "So this is really about doing more trade with China." More and more evidence and analysis is emerging every day and week in support of the Multilateral Financial System which is being structured around SDR denominated liquidity. Like a swell beneath the surface it begins to rise and make itself known. Readers and other analysts are beginning to discover this swell and realize that the calm before the engineered storm can be trended. Below is the excellent analysis of someone named Macjik at The People’s Talk Radio investment forum. Thanks to reader Dee for sharing this information and thanks to Macjik for compiling it. Macjik has broken down the composition of the foreign reserve accounts of the worlds powers. The conclusion is that there is an extremely high probability that SDR’s make up a larger percentage of these “unallocated” foreign reserves than previously thought. China is not taking over as the Reserve Currency but rather it is being allowed to take a Pillar position to help hold the world’s safety net. China will play a key part in adding liquidity to the new platform at the same time bare some of the weight of the world. So, in looking at these numbers did the US dollar really drop in relevance to the world??? Are countries really leaving the dollar… the Answer is NO!!! What is very obvious though is the pie is getting bigger. COVEN VATICAN is the umbrella corporation which created all others under it, by issue of charters of divine rights, powers & privileges. The exec. office QE “Lilith” held, is being transferred by the COVEN to the Li family. It has been reported that the Head of the Li family is possessed by Ra now and that is why they are after the ancient technology under Mt. Li (1st Emperor) which was closed off by the people for the immense slaughter that he did there. “Marduke”. His ‘mirror’ on earth was Alexander. He went by the names “(inc. coven name) AZAZEL the horned god of WICCA; BAPHOMET when he created COVEN CAESAR; MASSAWA the great architect god of his COVEN FREEMASON (when he taught them to build the monolithic doors into their churches which allowed for the possession of the Followers)”. His other names include “(title name)Ra in egypt”; “(god name)Apollo & Apollyon (in greek)”. And he is “Mars & Aries”. The PAPAL promoted coven name “AZAZEL” to “Archang-el Micha-el”. The lucifierian council of 7 (Moloch Owl/Rep’s) is run by QE’s line who also runs the Freemason coven. The archangel Michael council of 9 (El-ohiem created the nephiliem and ba-el) is run by the PAPAL who also runs the Illuminati coven(EL’s name in Babylon is “illumi” – Liliths shining ones). What was that verse, “He’ll come in his own name”..? These are the offspring branches of SET(An), the El and the Moloch. The next thing they would do, is give him their ‘crowns’.